Take hunting gear details to the streets. Last month we saw Nike incorporate the popular Realtree camo pattern to its Air Max 97 model. Today the Swoosh shares another one of its iconic sneakers sporting the print in the Air Force 1 High. Similar to the low cut iteration we shared back in December, the forthcoming drop will be available in contrasting black and white color choices. Each Realtree pattern is displayed on the midfoot and makes its way onto the toebox area while the heel is done in solid black or white. 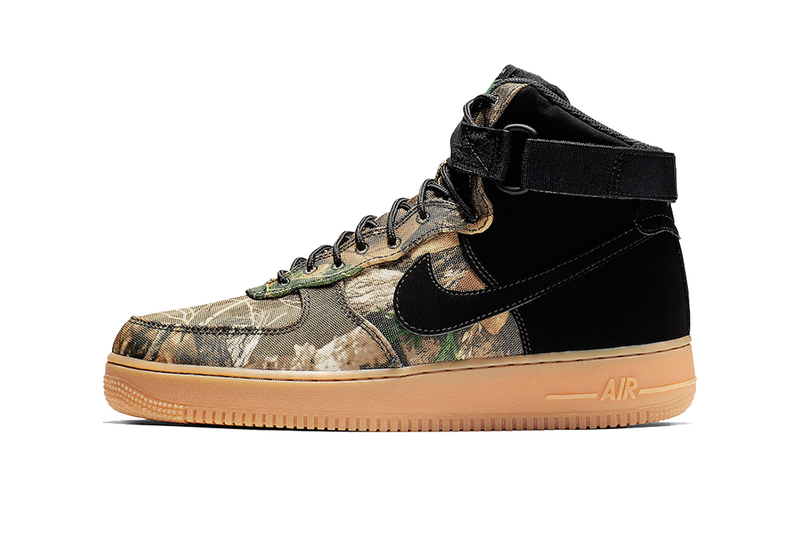 Lastly, the AF1’s signature Nike stamps are found on the tongue and heel with the Realtree logo printed on each insole. The Nike Air Force 1 High “Realtree” duo is expected to hit select Nike Sportswear stockists and Nike.com on February 8 for $110 USD each. Nike Sportswear followers can also take a look at the Nike Foamposite Zoom Vapor X Hybrid. A first look at upcoming gear and Scott’s next collaborative sneaker. A bright palette across its solid upper. Less romance, more capes, cowls, and horror.